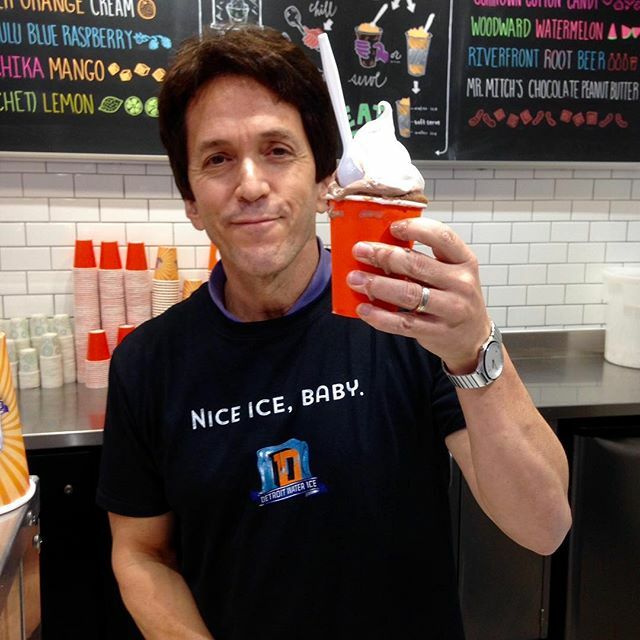 It’s a snow cone for charity –thanks to Mitch Albom, writer, columnist and philanthropist. He recently opened this “cool” store Detroit Water Ice Factory, where all the profits go to charity. Mitch is modeling this after Paul Newman’s concept of donating all the profits back to charity. Some of the colorful flavors include: Motown mint and the chips, Corvette cherry and Honolulu blue raspberry. This is all part of Mitch Albom’s S.A. Y. Detroit’s Charities. I personally visited the S.A.Y. Detroit Family Health Clinic helping Detroit’s neediest a few years ago. All good things for Detroit. Thanks Mitch!